Ceiling Works is an Australian based supplier of Ceiling Systems to the Marine Industry. Representing DAMPA Marine Ceiling Systems, we market our extensive range of products to shipyards throughout Australasia and North America. The company was established by Jim Mc Inerney in 1998 and head office is located in Perth, Western Australia. To date Ceiling Works has supplied Marine Ceiling Systems to in excess of 400 vessels, from all sectors of the marine industry, with these vessels operating throughout international waters worldwide. 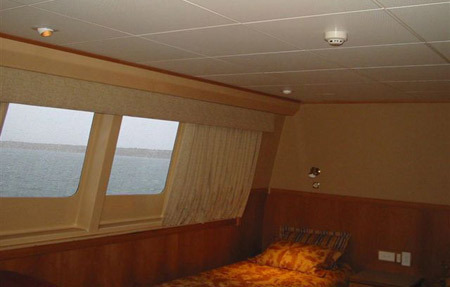 DAMPA Marine Ceiling Systems are specifically designed to travel the world providing a safe and pleasant environment at sea. They comply with international standards for sound insulation, non-toxicity and fire resistance. To date DAMPA have international references exceeding 3 million square metres of Marine Ceilings successfully installed on board more than 2,500 international projects worldwide. References include many of the latest, largest and most prestigious cruise liners, car and passenger ferries, merchant and naval vessels and offshore installations.